With the exposure of major scams like 2G spectrum, Commonwealth Games and Adarsh, public anger against corruption boiled over as witnessed in the massive protests of 2011–12. Categories: Politics, Sociology and Anthropology. Tags: 9788125052333, anti-corruption movements in India, Contemporary India, Corruption in India, Indian society, opposing corruption in India, Protests against corruption in India. 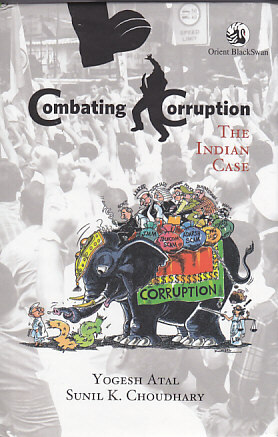 Combating Corruption: The Indian Case provides a perspective for viewing the increasing levels of corruption in the higher echelons of politics and bureaucracy in post-Independence India, and the limits of popular struggles and legislative/administrative measures to combat it. Looking at the phenomenon as ‘deviance’ from norms and a systemic dysfunctionality, the authors argue that it can be resisted by effective strategies of mass mobilisation under charismatic leaders. Focusing on peoples’ participation, it traces the emergence of anti-corruption movements to the JP Movement of the 1970s, and culminates with the protests led by Anna Hazare and Baba Ramdev and the rise of the Arvind Kejriwal-led Aam Aadmi Party. The book fills a major lacuna in our sociological understanding of corruption—as exemplified by cases of grand embezzlement—and the popular opposition to it. Identifying the traditional sources of corruption, the authors show how the problem manifests itself in the social, economic and political contexts peculiar to India. And in doing so, they underline the crucial role of state institutions and a vigilant civil society in tackling a problem that afflicts almost all, and not only the developing, societies. As ‘instant history’, Combating Corruption is an account of an unprecedented phase of mass protests in India. A must-read for political analysts, sociologists, journalists and general readers alike, it is indispensable for understanding contemporary India.